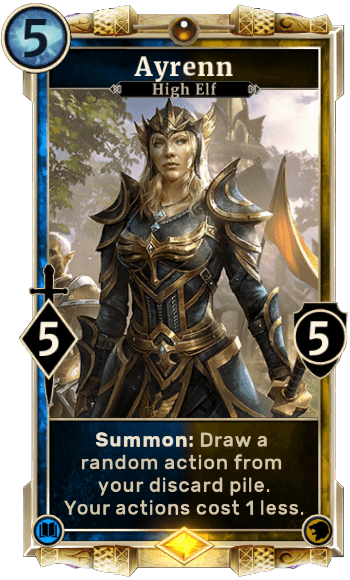 Ayrenn is a Card in The Elder Scrolls Legends. Summon: Draw a random action from your discard pile. Your actions cost 1 less. Is the "cost 1 less" effect part of the "Summon" ability or does it last as long as the card is in play? From the card text it seems like the latter, but in the desciption on the top of this site, it seems more like the first situation. Either way, pretty good card.